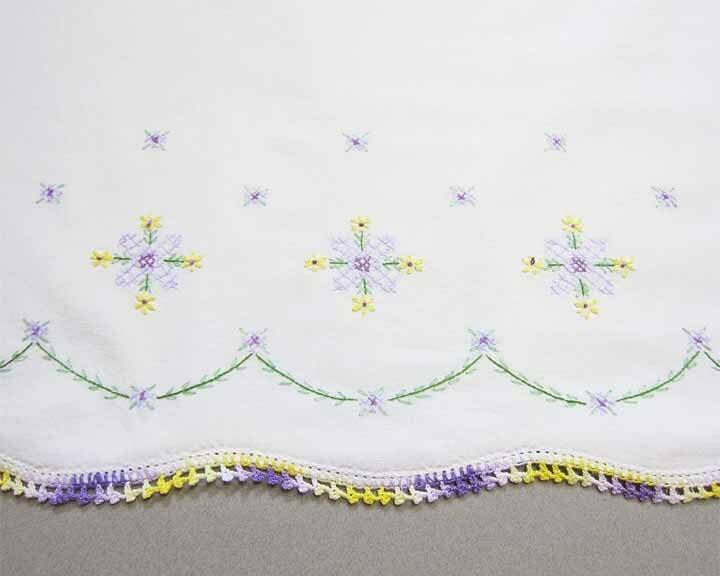 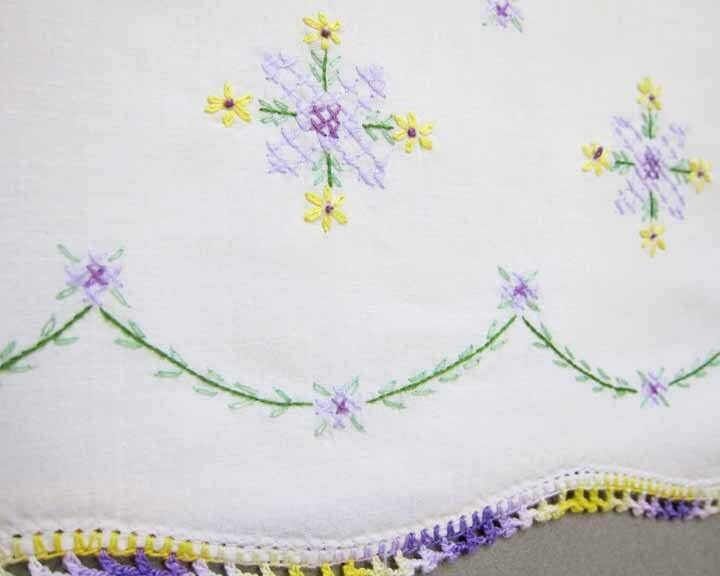 This is a very pretty vintage, single standard size pillowcase with purple and yellow hand embroidery and hand crocheted trim. 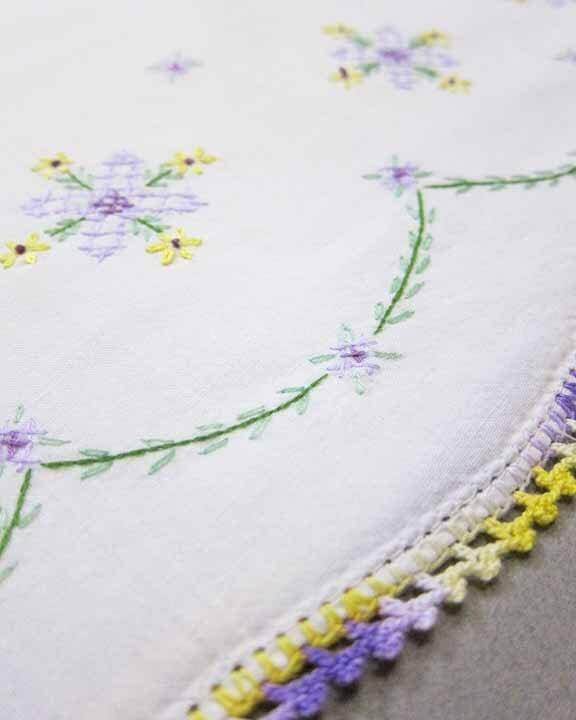 It would be a lovely vintage touch in a little girls room. 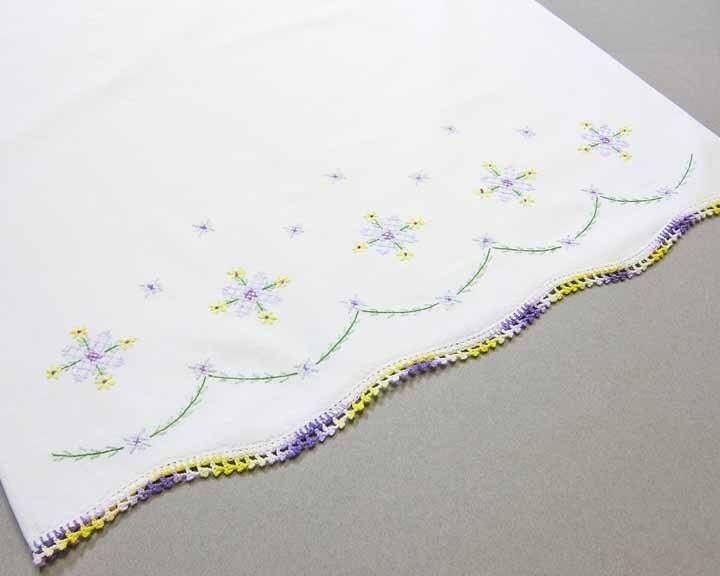 A very soft cotton that has aged beautifully with no spots/stain.